To guarantee that there are no interruptions in the productivity of the kitchen, industrial kitchen equipment in kolkata such as dishwasher, refrigeration equipment, and bakery equipment needs to be upgraded. You have fewer instances of breakdown and problems, with an appliance that is new. There can be a huge loss of money if the new equipment breaks down. Hence the supplier of the equipment needs to upgrade the accessories, in order to save the loss of money for the customers. For the restaurant or hotel owners, new and nice apparatus supplied by industrial kitchen Kolkata provides a good look. If the supplier of commercial kitchen supplier shows that they are providing enough quality equipment for your commercial kitchen, then you can spend the money for such equipment. This shows that the supplier of kitchen accessory is actually thinking about the better preparation of food by the restaurant. By this way, the restaurant can also satisfy the customers and bring them back. Before the supply is done, turnkey consultants can go for a visit and make an assessment regarding what type of apparatus to be supplied. To fix the broken equipment, they provide sufficient service for the commercial equipment. With the up-gradation of commercial kitchen appliance, the service provider is catering the needs to restaurant and hotel kitchens. If you are entertaining the guests on a regular basis, then these upgraded accessories are being supplied to the customers. Most of these accessories are manufactured with high-quality stainless steel, which makes them durable and long lasting. But the suppliers always need to make some of the advancement regarding the equipment they are producing to the commercial kitchen. There will be no problems finding the right type of equipment if you select a supplier who is supplying the right kind of equipment. 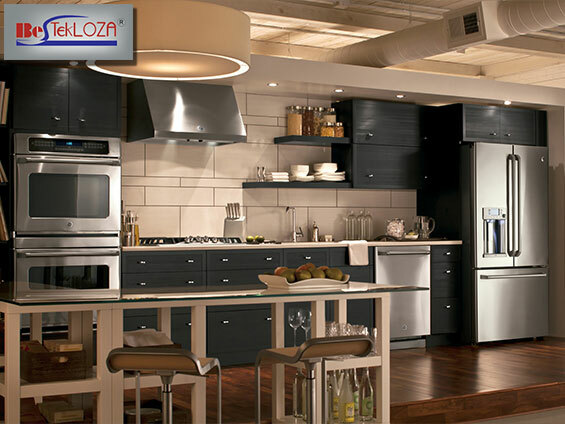 For any kind of commercial kitchen, large or small, this supplier can be a perfect choice. With everything to regulate your food preparation, the new flat top ranges are easy to clean and refrigeration system is easy to clean. To provide great sweetmeats or deserts to the customer, you can choose the best sweet making machine. These machines are easy to handle and provide you with plenty of opportunities to prepare the sweet. With great equipment technologies and with good supply commitment, you will never regret if you choose “Bestekloza “ as your partner for commercial equipment supplier.